Home » Elton B. Richey, Jr.
Elton Richey embarked on the first of several careers when he enlisted in the Army National Guard immediately after high school. After completing Basic Training at Fort Polk, Louisiana, he was selected for Officer Candidate School and attended the Louisiana Military Academy. Graduating with distinction, he was commissioned in the Infantry and completed his training at Fort Benning, Georgia. Upon returning home, he accepted a position with the Shreveport Police Department, where his father had retired as a Captain. Graduating at the top of his recruit class, Mr. Richey began working as a patrol officer on the evening shift. He spent the next nine years patrolling some of the most dangerous beats in the city. He continued to serve in positions of increasing responsibility in the National Guard and Army Reserves while studying Criminal Justice at Louisiana State University in Shreveport. 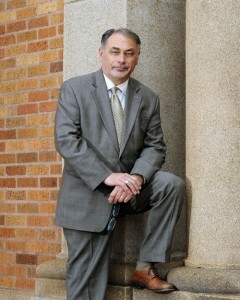 In 1988 Mr. Richey received his Bachelor degree from LSU-Shreveport with honors and was admitted to the Walter F. George School of Law at Mercer University in Macon, Georgia. As a law student, Mr. Richey worked at the National Criminal Defense College, which is located on the campus of the Mercer Law School. There he was privileged to watch and study some of the finest criminal defense practitioners in the country. He later completed the Trial Practice Institute of the National Criminal Defense College and has attended many of its advanced programs. In 1991, Mr. Richey graduated from Mercer Law School with Honors. He entered private practice in Savannah, Georgia as an associate with the firm of Zipperer & Lorberbaum. In 1992, he returned to Louisiana and worked for several years under his mentor, Attorney Wellborn Jack, Jr. In 1994 Mr. Richey established his own practice and began accepting clients. Since that time he has helped many people facing serious criminal accusations. He has also obtained substantial recoveries for clients who have lost a loved one or who have been seriously injured in an accident. 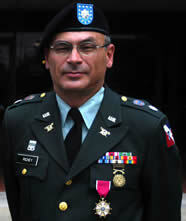 Called to active duty in 2003 in support of Operations Noble Eagle, Enduring Freedom and Iraqi Freedom, Mr. Richey’s last assignment was as The Inspector General, 75th Division (TS). After 31 years of service, Lieutenant Colonel Richey retired from the Army in June 2004 and returned to the fulltime practice of law. Mr. Richey makes his home in Shreveport, where he is a member of the First Presbyterian Church of Shreveport.